How we wish it is as easy as shake, pour, and go! Those words sound pretty familiar from all sorts of beverages we get crazy about. Apparently, when our cars and trucks get sick, it ain’t as easy as we wish it will be, especially when it is a part of an engine. Just like how my trip to a small town in Idaho went, passing by the stunning vintage relics of a ghost town. And boy! Was I lucky to reach a place with smiling faces before my truck blew a head gasket? The next thing I knew, I would have to pay a mechanic $700 upfront with no guarantee to have a fix. 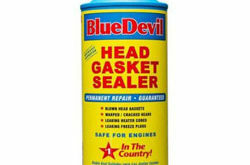 What’s The Deal With Diagnosing A Blown Head Gasket? 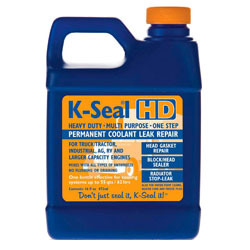 Why K-Seal ST5516 HD Multi Purpose One Step Permanent Coolant Leak Repair Is Awesome? When you experience any of this following signs.. When you see a milky residue surrounding your oil cap, that is a surefire sign of a blown head. That’s basically an oil contamination. That’s basically an oil contamination. It got mixed with water from your coolant indicating that you need an oil change and a head gasket replacement. A faulty exhaust system is also a straightforward indicator. When it leaks down the exhaust pipe and, or with the white smoke coming out of your vehicle’s tailpipe, it is having a similar deal. Air bubbles look nice but not healthy for your car. They are a strong sign of a bad head gasket. 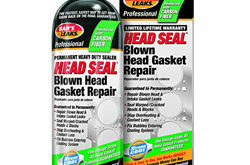 You have a leakage coming from the head gasket. Try to remove the radiator cap and allow your engine to warm up. If air bubbles start to emerge, then that should let you know what’s going on. 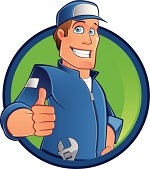 The most common gasket failure sign is none other than engine problems. When you notice the engine misfires while you are on the road, giving you a problem with starting up your car or a rough idling. Pressuring your car’s cooling system and then starting the engine can make the misfire more obvious. These signs may only be just a few of the other indicators, but they are fairly common, mine is the last sign. I had trouble starting up my engine after I turned it off and restarted it. And it ain’t just this ordeal we have to worry, the cost is one particular subject, of which I am writing this review about. The cost for handling the problem over to your trusted mechanic, dealership or any auto-repair shop is very painful, it is just like dating a super hot woman who loves fancy expensive stuff. Unlike other sealers, K-seal can work mixing it with any kind of antifreeze. 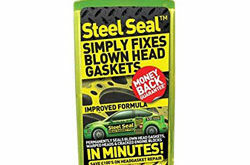 Another advantage of K-seal that saves you the 10 to 14 labor-intensive hours of dismantling your engine is it does its job going through the nooks and crannies as fast as 3 minutes. Trust me, I was skeptical when I was told b y the store where I bought this product that it is quick-fix. It only cost me around $23 for an 8-ounce bottle. It is very simple, you do not even need to do the hassle of draining and flushing which are often required when using this product. All it takes is a good shake, pour and go. I have a Dodge Ram 1500 truck that I use for my out of town errands. 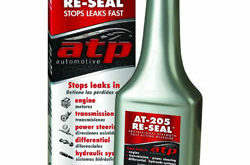 This sealant is such a great product, especially for those who are often on the road like me since K-seal is great for high capacity engines like for trucks and sport utility vehicles. Is this worth a try? Of course! I won’t be this enthusiastic to write a review of my own experience about this product if it did not give great results. It saved me from blowing away thousands of dollars. There are so many products of the same kind that offers promising results and K-Seal is just one of the bests, you can check other reviews, and you will know that this brand stays on top listings all the time. It does not only repair warped or bad head gaskets, it also helps repair heater cores, water pump casing and engine blocks, freeze plugs, and cylinder heads. It is multipurpose, so if you want to make your life better, skip the mechanic and use this product instead unless there are far more serious problems. How we wish it is as easy as shake, pour, and go! Those words sound pretty familiar from all sorts of beverages we get crazy about.